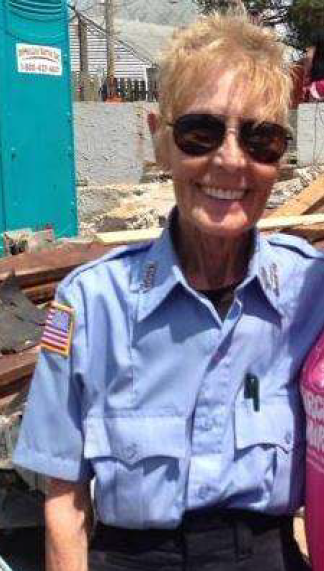 Russelle Patterson was almost as common a sight at fires as firefighters and ambulances. The former Red Cross worker was there to help even after illness had taken her strength and much of her weight. Now that she is in need, the community is coming out for her. A fundraiser is being held Saturday night at the Wonder Bar to help Patterson who is battling several health issues. Organized by Ron Bailey, tickets are $25. There will be food, a cash bar and a Chinese auction. 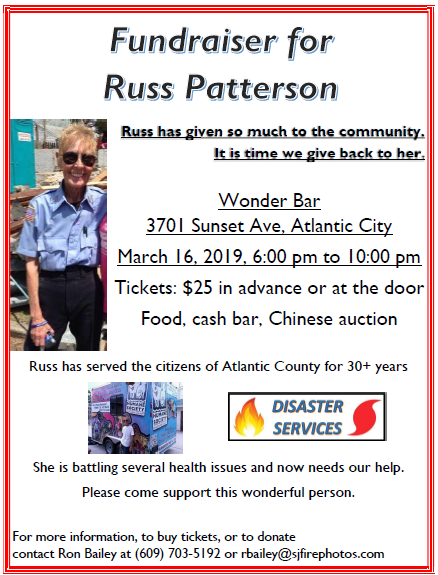 “Russ has served the citizens of Atlantic County for 30-plus years,” Bailey points out in the flyer. Patterson also worked with the Humane Society and other organizations. The event is being held from 6 to 10 p.m. Saturday.